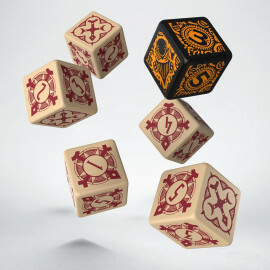 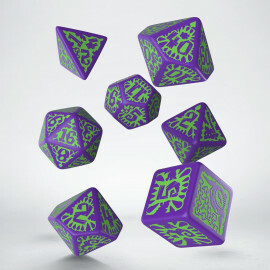 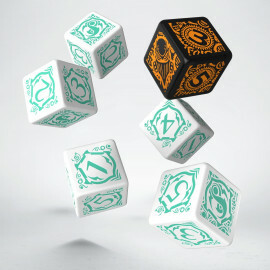 Show your faction pride with the official dice of WARMACHINE! 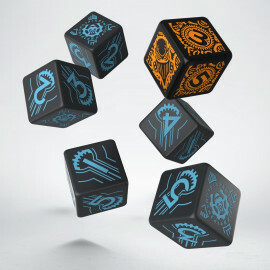 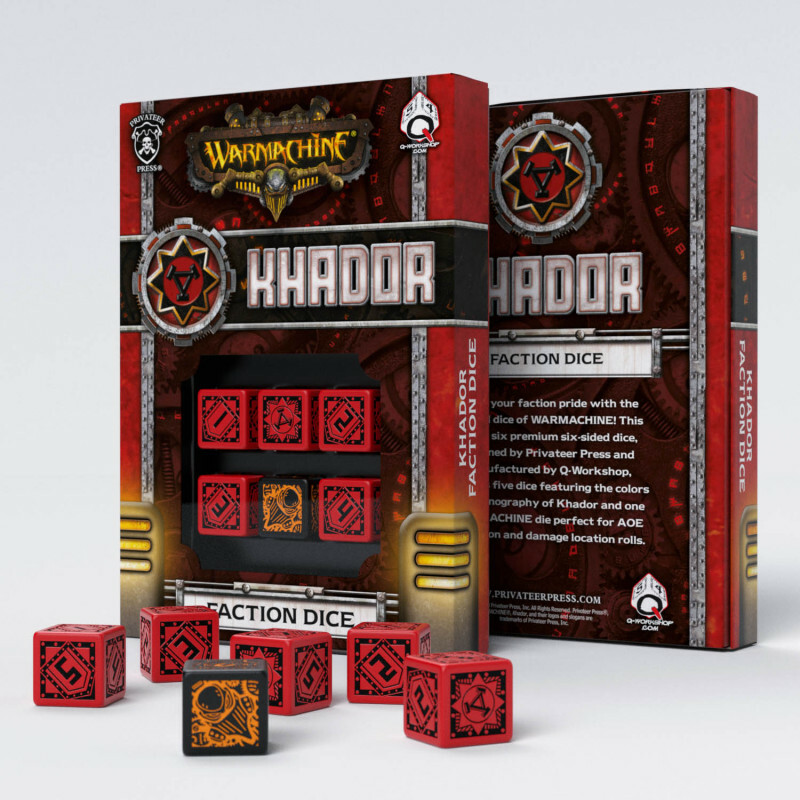 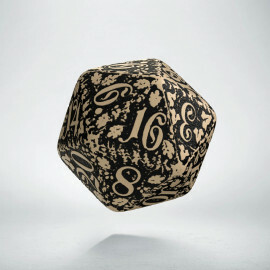 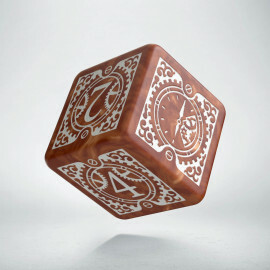 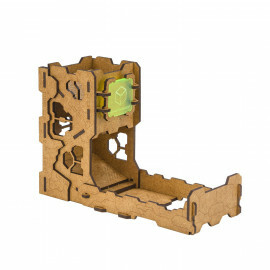 Choose one of seven WARMACHINE fractions and lead your team to victory using this unique set of six premium six-sided dice. Designed by Privateer Press and manufactured by Q WORKSHOP, this set includes five dice featuring the colors and iconography of your fraction and one WARMACHINE die perfect for AOE deviation and damage location rolls.